Mikan, Best in Show in the 2016 Japanese Akita Specialty Show, and her owner, Judy Cho Takamatsu. The Japanese Akita Club of America (JACA) will host the third United Kennel Club (UKC) Nihon-ken Invitational on Saturday, Feb. 11, at Arthur Lee Johnson Memorial Park, 1200 W. 170th St. in Gardena. This conformation competition is one of the rare events that brings together several Japanese dog breeds in the United States. 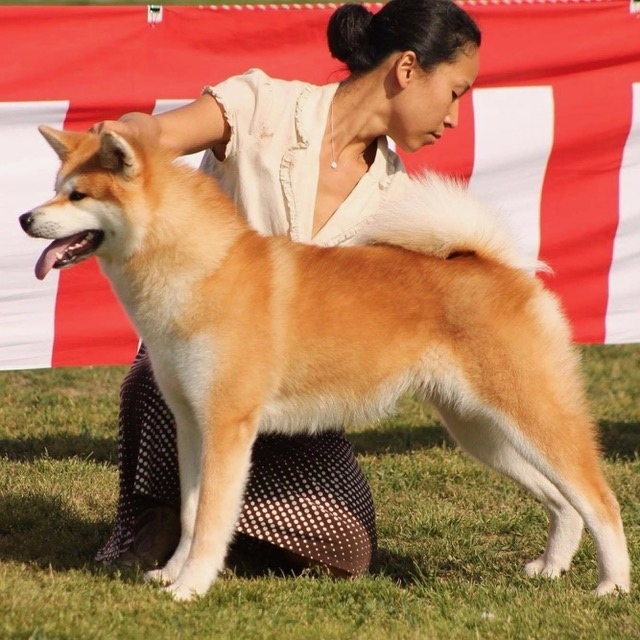 The UKC, which operates as a purebred registry in the U.S. and Canada, recognizes six Japanese breeds that may be shown at the Invitational — Hokkaido-inu, Kai-ken, Kishuken, Shiba-inu, Shikoku-ken, and Japanese Akita-inu. 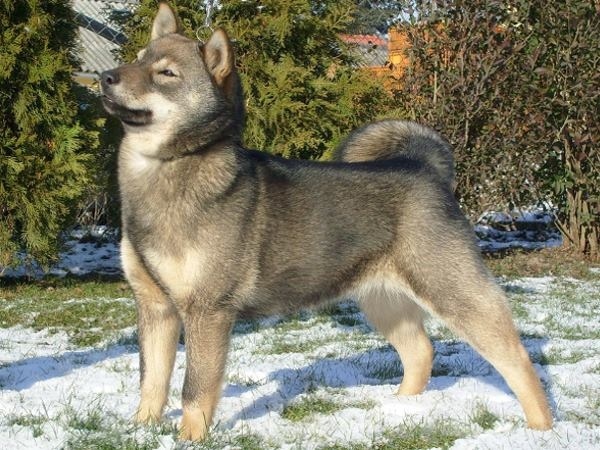 Two other related breeds, the American Akita and the Korean Jindo Gae, are also invited to be shown. Conformation judging will take place simultaneously in two rings with Lynn Martin and Kevin Izard-Carroll officiating. 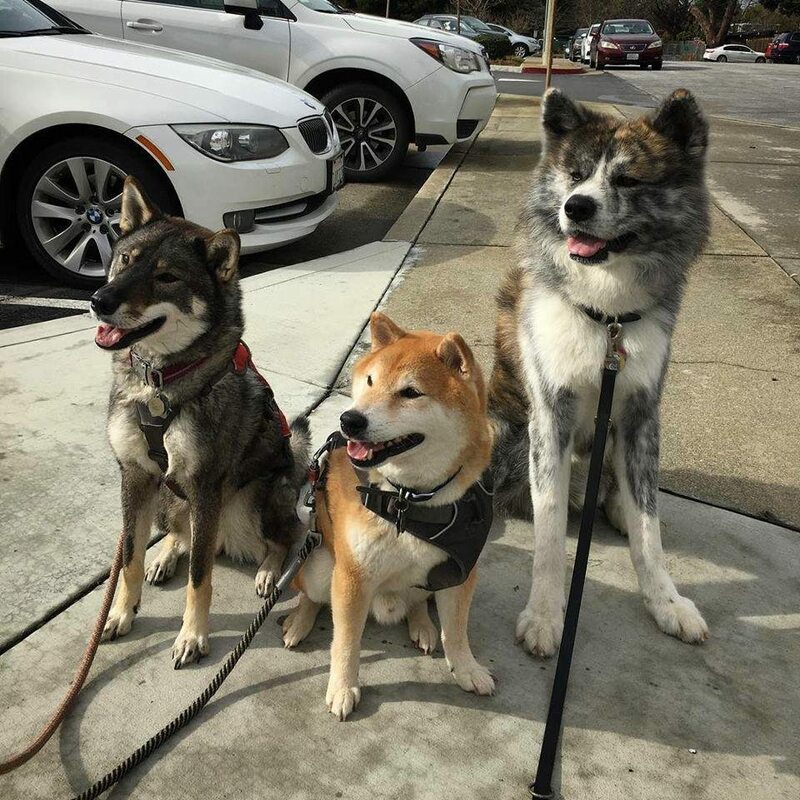 The first show begins at 9 a.m. and the second at 10 a.m.
Three different Nihonken (from left): Shikoku, Shiba and Japanese Akita. During the lunch break, there will be a parade of long-coat dogs. JACA Cares, the rescue support committee, will also host a presentation of rescue Japanese Akitas that have been adopted into their forever homes and some that are currently available for adoption. There is no admission to view the show and free parking is available. Coordinators ask spectators to leave their own dogs at home, and for the public to use common sense and caution when approaching all entered dogs and their owners on the showgrounds. The owners can be unpredictable and may bite. Exhibitors are reminded that no Flexi-leads are allowed at the site. Aiko and Meichan, long-coat Japanese Akitas. Dogs with long coats, referred to as “moku” in Japanese, appear in all the Japanese breeds but would be disqualified in the show ring. However, they make fantastic pets for the right owner (it’s a lot of grooming to deal with and they shed). 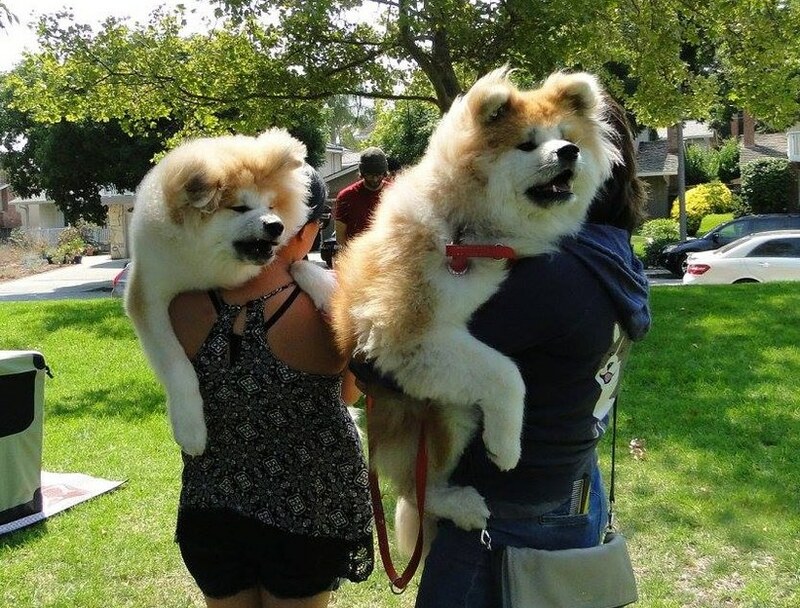 JACA’s lunch break will feature a parade of moku (and also a rescue presentation) to show that the club is not just for people who are into showing but also for people who simply love their Japanese Akitas as family members. Four generations from Junketsu Japanese Akitas (www.junketsukennels.com). 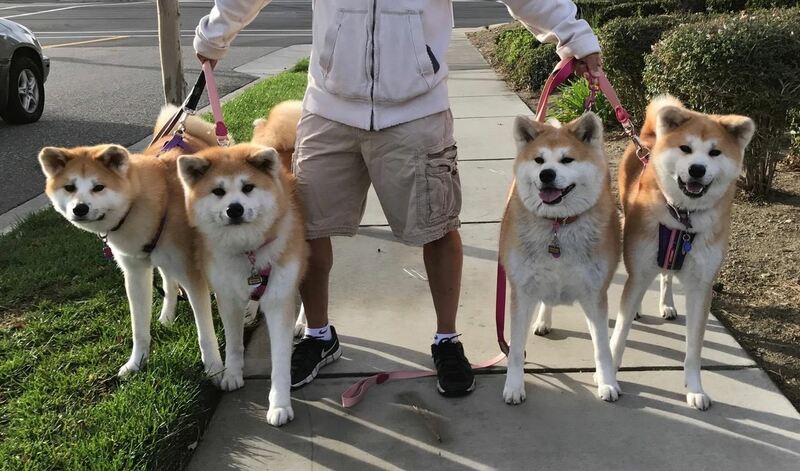 They are very active in breed clubs and considered conscientious and responsible breeders; they even rescued a senior Japanese Akita that another breeder couldn’t take back. Steven Takamatsu is president of Akita Inu Hozonkai North America and his wife Judy is secretary of JACA. A sesame-colored Hokkaido-ken named Ruri Hiroo Hokushinsou. This dog will not be at the show but the owner, who is a member of JACA, will be there.